For many athletes, running becomes difficult with injury or with age. 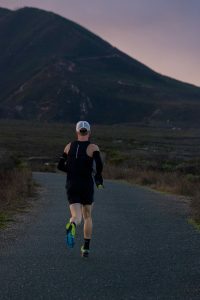 The good news is: it doesn’t have to be the end of your running career! At Axis, we can help and support your ability to run, long-term, through physical analysis, strengthening and retraining the body. Our initial running analysis is a 13-point visual assessment that identifies sub-optimal movement patterns, within what would be considered normal for a chosen foot-strike pattern (heel, mid-foot, and forefoot). We also use video analysis, from both a rear and side view. As we analyze the video, we slow it down to systematically check each area of interest: the foot/ankles, knees, hips, trunk, arms and head. The aspects of movement that aren’t controlled, symmetrical, or considered normal will then be correlated to the objective findings in a physical therapy evaluation. Once we’ve figured out the issues that are causing pain, we will create a rehabilitation program to address the impairments using manual therapy, exercise, re-training, and improving a client’s pain and tolerance of running. Our goal is always to get you back on your feet and doing the things you love, including running!